Home / Blog: Asturias tourist guide / Photos "Asturias, naturally"
There are no photos with those IDs or post 13375 does not have any attached images! 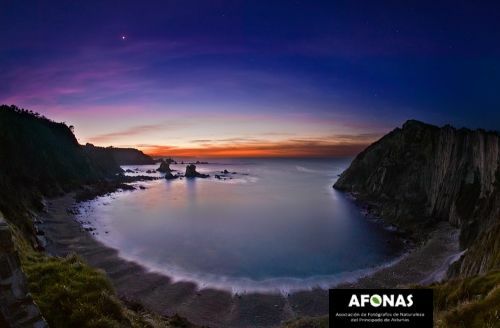 From the 15 to the 30 in October we will have the opportunity to see the expo "Asturias, Naturalmente" of AFONAS (Association of Nature Photographers of the Principality of Asturias), at the Casa de Cultura riosellana. The exhibition is composed by 35 large format works, which mix landscapes of the Asturian mountain with spectacular marine, small and large animals, aims to make known our "Natural Paradise" through photography. · From the 4 to the 15 of November in the CIDAN of Laviana. · From the 18 to the 29 of November at the House of Culture of Cangas de Onís. · From the 1 to the 30 of December at the House of Culture of Tineo. Map: how to get to Photos "Asturias, of course"